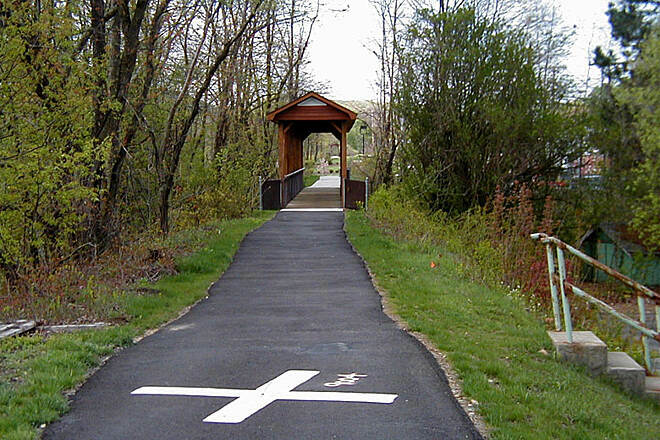 A short rail trail with two covered bridges occupying a portion of the former Mount Hope Mineral Railroad right-of-way in Wharton, NJ. 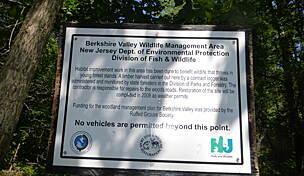 In the future this trail will be linked with the Rockaway Township segment of the Patriots' Path. There is no dedicated trail user parking facility. Please park legally on any surrounding local street. 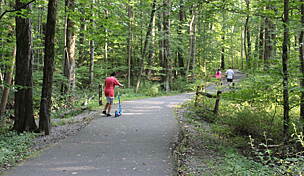 This trail connects to the Patriots Path. 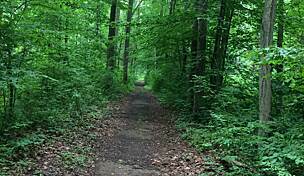 Use The Patriots Path to extend your mileage. "Access to the trail, etc." 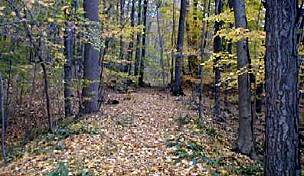 "Hello folks, I was visiting this trail on my way to the Dover Train Station to head back home to Danbury, CT as I used to live in Flanders, NJ. You can access the trail by turning off of 46 East onto South Main Street in Wharton. It eventually becomes Main Street and then North Main Street. The trail unofficially starts 4 or so blocks after becoming North Main Street at the intersection of North Main and Pine Street some 3/4 to 1 mile from Route 46. There will be a restaurant on the left called ""The Canal House"" (the old Morris Canal is nearby) and the Green Tent Company on the right. It officially starts at the end of the gravel and past the entrance to the industrial commerce park at a sign that says ""80-98 North Main."" There is no official sign saying it's a rail trail development. It's paved and some of it is a concrete sidewalk and passes the front property of a senior citizens living complex. There are two nice covered bridges with one going over the NJ Transit tracks and another over a river. It's downhill the whole way. It ends in a quiet part of Wharton where there is a road to your right but it's pretty industrial. Before the end on the right is a garbage can and park bench. If you sit on the bench, you see woods, but if you face the bench, there's a fence alongside it and an empty wasteland of a lot. Not a good sight. 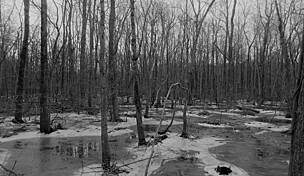 The trail ends abruptly at a street (East Dewey Avenue in Wharton) and if you look across the street at the normal path of the rail line it continues into the woods but in its place is a fenced-in water company water main. I didn't have time to look behind it. Not a bad trail and it's quiet but too quick. 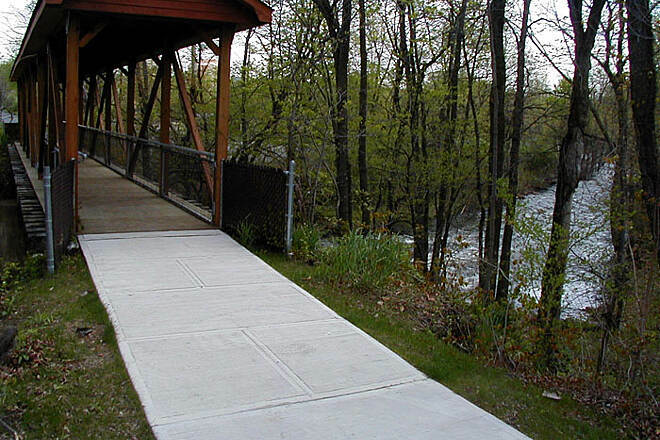 A Short Rail Trail or a Long Sidewalk? "If you live very close to Wharton and are looking for a place to in-line skate outdoors, this is the place. 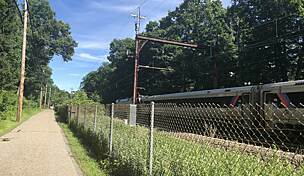 Rail trail fans traveling through Wharton (right at exit 33 on Interstate Route 80) will also want to see this expertly designed rail trail. 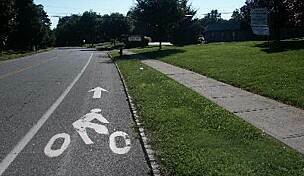 A caution though to both the in-line skaters and rail trail fans: don’t blink your eyes or you’ll miss it! The surface of this very short rail trail is perfect for in-line skating; it’s freshly paved with only one street crossing that’s completely ADA compliant. However, the only shade you’ll find on a sunny day is offered by two very nicely constructed covered bridges. There are benches conveniently installed at the West Dewey Avenue trailhead. 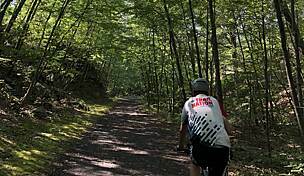 Don’t expect great views though; the trail travels along busy North Main Street for a few hundred feet and then heads behind a rather insignificant group of industrial buildings. If you’re nearby do take a peak. 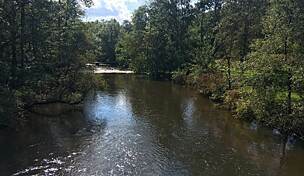 But don’t travel too far just to see this trail until it becomes connected with a longer and more scenic section of Patriot’s Path." 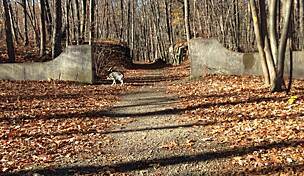 "This short paved trail is all that is left to the public of the Mt Hope Mineral RR. 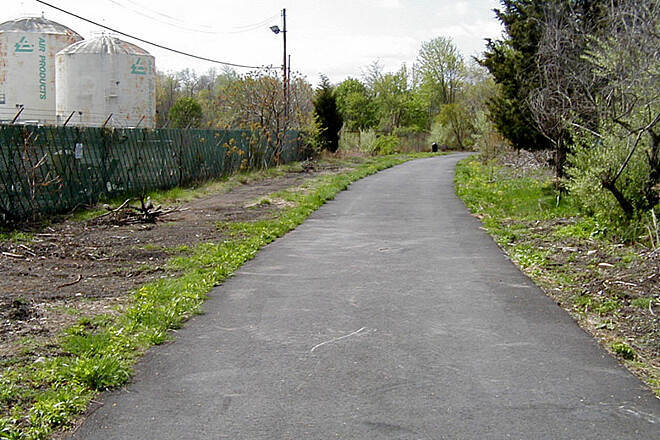 It is a nice little trail through a former industrial area to the center of Wharton. Sidings into long closed industrial sites give a glimpse back into the history of this line. The original ROW (and the trail) cross over the Rockaway River and the (now) NJ Transit tracks. 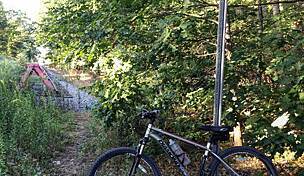 At S. Main St the trail ends where the original ROW crossed the historic Morris Canal. 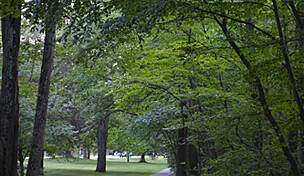 This is a relaxing walk/ride, probably more suited to strolling for local residents or as a short cut to shoppers. Local street parking is available. Rates a 5 out of 10!